March is always a busy time on Nebraska’s Platte River. It’s the beginning of prime prescribed fire season, of course, and a good time to work on fence repair and tree clearing projects. But there’s no question that sandhill cranes rule the month. 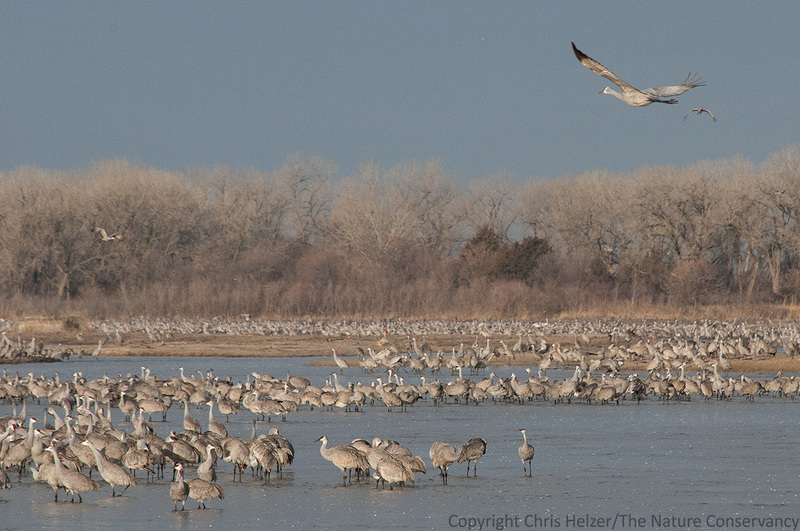 About 600,000 sandhill cranes spend a good portion of late February, March, and early April along the Platte River before heading north to nesting grounds. 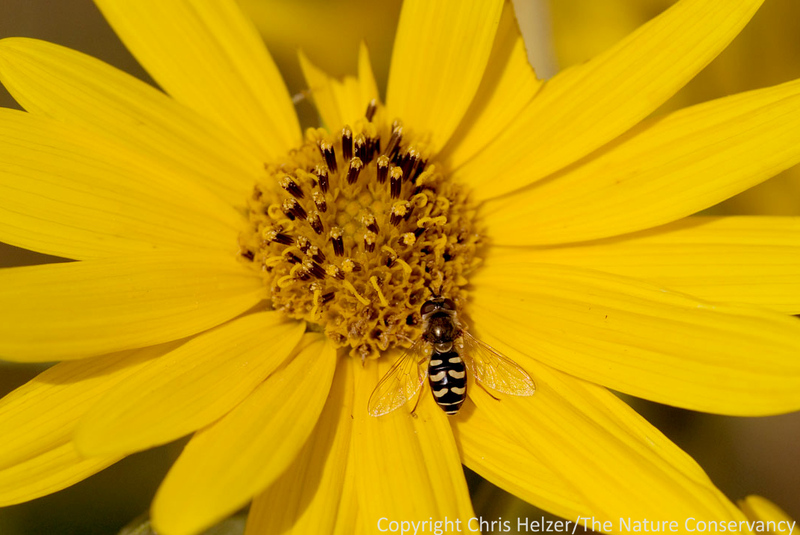 It’s one of the greatest migratory phenomena in the world, and it happens right in our backyard. 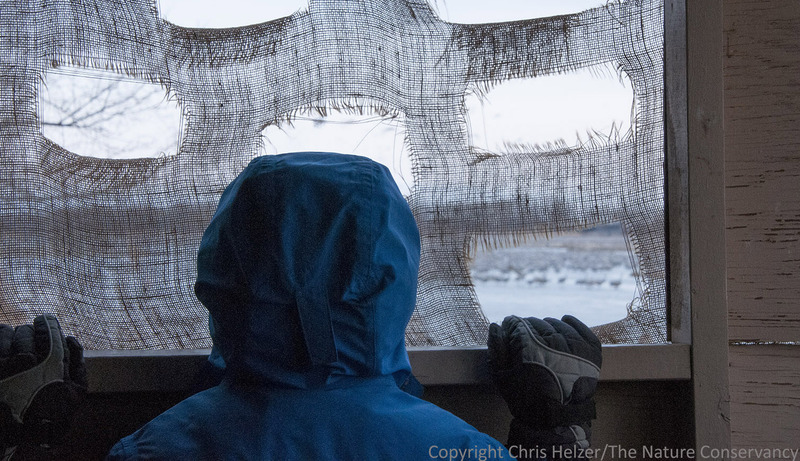 Because of that, our staff spends quite a bit of time taking groups of people into our viewing blinds where we watch the cranes land on the river at sunset and take off again in the morning. 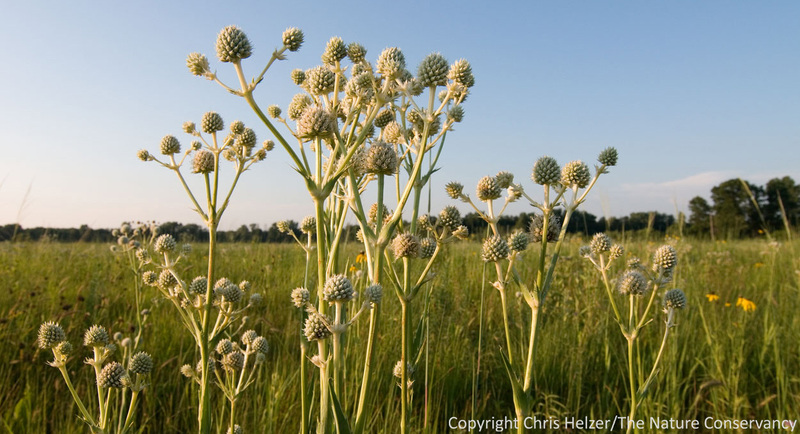 It’s an important fundraising opportunity for The Nature Conservancy, and a way to show our Nebraska members what we’ve been working on and thank them for their support. It’s really gratifying to watch the reaction of people as they see the crane spectacle for the first time. My son Daniel got to take his first trip to a crane blind on his 10th birthday this year. It was very cold, but he still had a great time. Because I’m in the blinds fairly frequently, I get quite a few opportunities to photograph cranes – though the number of nights and mornings when the light is favorable can be limited. Also, I’m really not a wildlife photographer, either in terms of my equipment or aptitude. Despite that, I usually end up with a few decent photos by the end of each season, though not as many as I should. This year, I also tried to get some video footage of the cranes – something I have even less experience with and aptitude for than wildlife photography! Also, my only video camera is the video function on my Nikon D300s SLR camera, and I’m still learning to use it. Video 1 – Cranes preparing to leave the river on a cold morning. 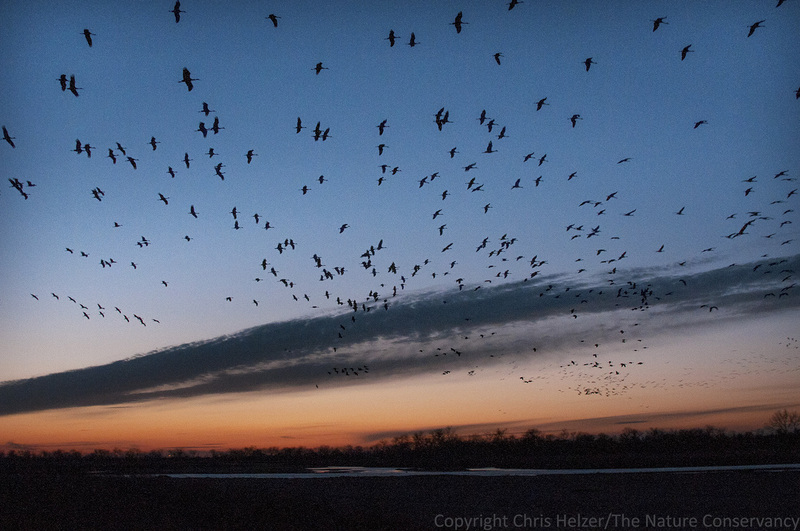 This 30 second clip gives you a feel for the density, activity, and noise of a crane roost. Video 2 – Cranes chasing each other around on a sand bar. There is a lot of jumping and chasing among cranes. Some of it is courtship and pair bonding, some of it is just posturing. This clip is about 30 seconds long. Silhouettes against the evening sky. 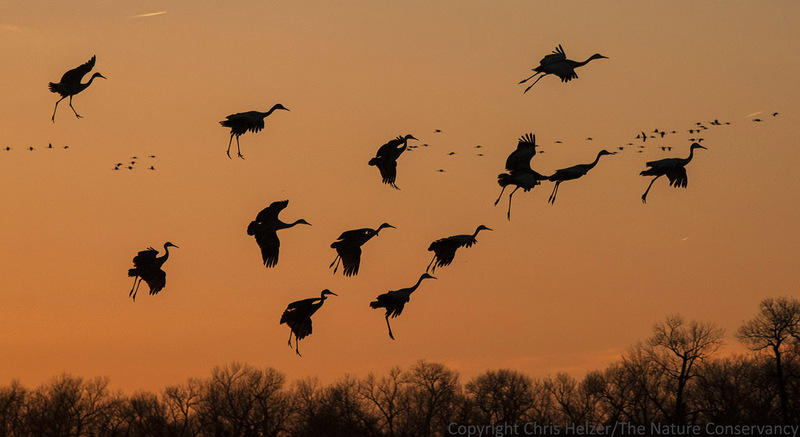 In the evenings, the cranes often wait to come to the river until it is getting dark, making photography difficult. In those cases, the best photo opportunities are usually silhouettes of the birds against the sky as they drop into the river. On nights when the light is nice and our guests are fully engaged watching the big event, I manage to snap off a few shots. Both close-ups on a few birds at a time and more wider views can be attractive. Sandhill cranes coming to the river after sunset. This year, my favorite image was the first shot I took one evening. The sunset was beautiful and the cranes were parachuting gracefully toward the water as I poked my camera lens out the window of the blind. The resulting photo reminded me of the theme song to a 1980’s TV show – The Greatest American Hero. 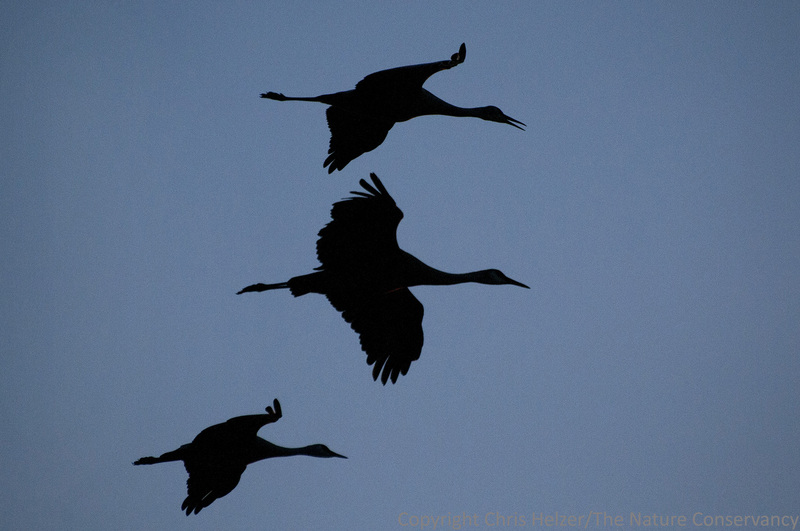 “Believe it or not, I’m walking on air…” Cranes floating down to the river at sunset. On one of the crane tours I led this spring, I met 11-year-old Jack McDowall and his dad. Jack is a fellow blogger who is working on a year-long project to photograph and document his bird sightings. I think many of you would enjoy his photos and the natural history information he includes along with them – including a post from his trip to our viewing blind. If you’d like to visit his blog, you can link to it here.